Just a qiuick reminder! 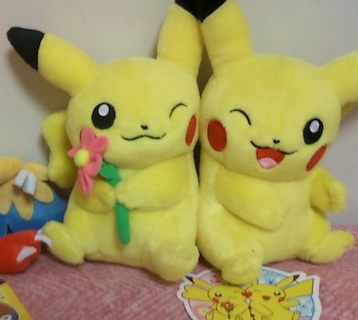 This pika-licious auction for the big Pika Pair plushies is ending in little over 2 days and it's still at the starting bid! Hey guys! I've decided to sell a few things I have gathered, so I have updated my sales with them! 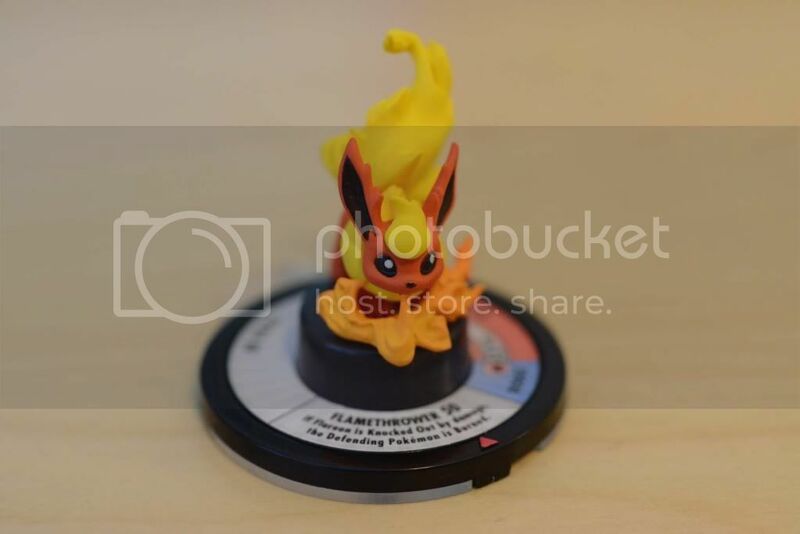 "Are there any places in Austin Texas (or just Texas) that sell pokemon merchandise beside target,walmart,exc?" I am on vacation and really want to go and capture some pokemon :D!!!! Thank you all! I didn't bid on it because even though that Wartortle looks ADORABLE, I had no idea what it was/how big the figures were. So, does anyone know? Ok to make my post less boring: my tower of tepigs! Hello everyone. 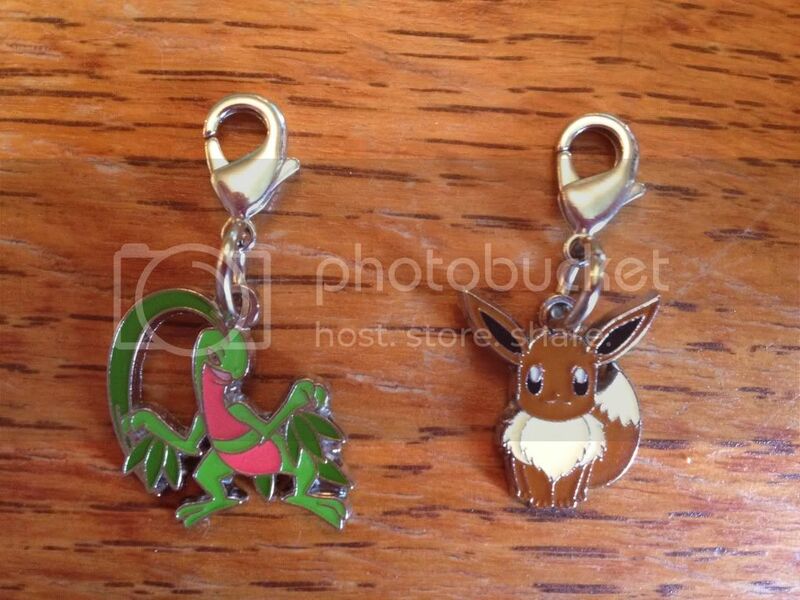 I have some stuff for sale including a rare croagunk strap, pokemon white DS game, cyndaquil pokedoll and more. Come check it out. There are freebies!!!! XD And things are cheap, cheap! Slots still left and sales! Just a reminder post that I still have some commission slots open. c: (If you've already purchased a commish from me, they were finished today and will be sent out tomorrow!) I also added a few things to my sales. Hello everyone! Let's start a new GA, shall we? Hey everyone! 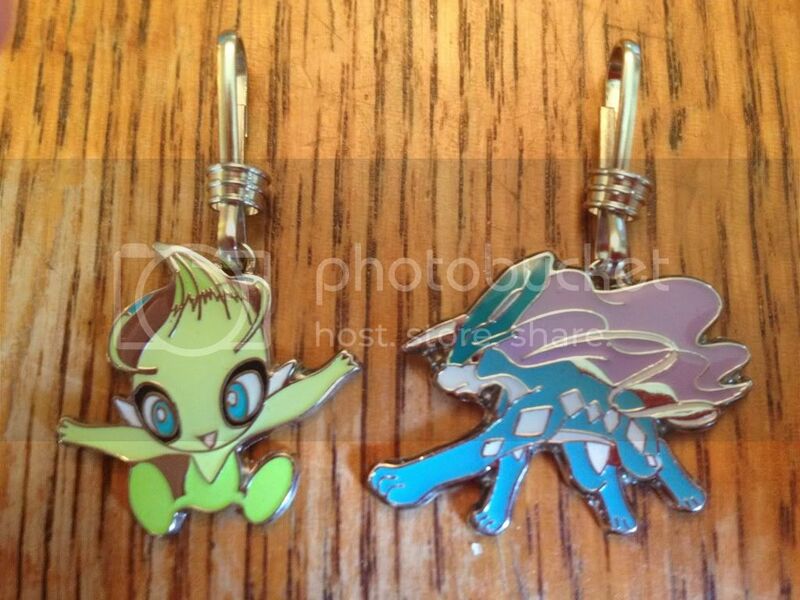 The auctions for my Pokemon friends plushies and shaymin lot are ending in less than 3 hours!!! Go on and place your last minute bids!!!!! This item is so rare that up until I saw the auction for it on Y!J weeks ago, I hadn't even been entirely sure it existed. Hi community! 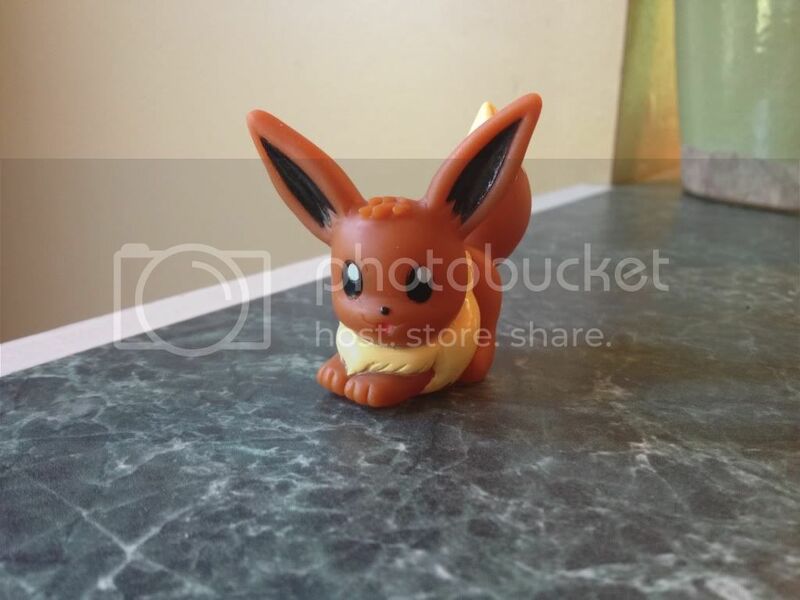 I've recently decided to get rid of some stuff: the Flareon TFG! I know a few people were looking for him. So here's your chance! It's been a long time since I have sold anything here! My icon is my face when reminded about Australian shipping prices, hoping to package things as cost efficient as possible. Money made is just that little bit more towards my holiday to melbourne! Re-intro and long overdue collection update! Hey all! I just did a quick search and the last time I posted a collection update was May 2011, so over a year ago! Since I'm sure a lot of people around here might not recognize me, I thought a re-introduction was in order. Here goes! And without further ado, here's my collection! Finally, here's some wants! You can hit me up with pretty much anything I don't have, but I'm especially looking for Cradily/Lileep, Torterra, Giratina, Purrloin/Liepard, Dwebble/Crustle, Quagsire, Azumarill and Parasect! Oh, and the Banpresto Tropius plush is suuuuperrr high on my wants list! hey guys my zukan has grown alot since joining the com =) now I am try of complete my ghost Zukan collection. I only need 9 more ghost zukans So if anyone know where to get anyof the zukan I have listed I would be very grateful. On another note my Mum's speech is back to normal and she is walking again and should be discharged tomorrow or Tuesday. Thank you all for the well wishes . Of course wishuponjirachi decided to steal my shiny thunder and make the same Pokemon as me... Just kidding! I am coming to the community today to sell some shiny Pokemon-Blankies~ Winterjellybean and I decided to have a shiny custom theme for this month, so here it is! All items are still at their starting bids! Specifically I need some people who would be willing to help enter new submissions into PPP and keep the project up to date. Experience with Flickr & photo editing, and some knowledge of Japanese would be helpful, but not in any way necessary - I really want to get as many people involved as possible! 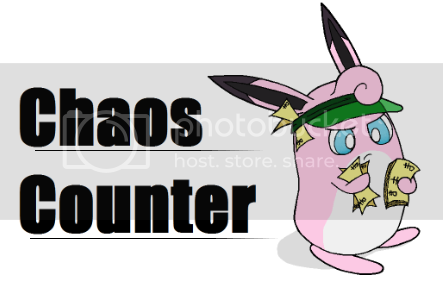 How long have you been a pkmncollectors member? Why do you want to get involved with PPP? How much free time do you have to help out with PPP? Do you have any experience with Flickr/photo editing/Japanese? If there's anything you would like to see happen with the database in the future, please let me know! Right now my priority is assembling a PPP team and getting the database back up to date, but I've already gotten some great suggestions for some new projects to potentially tackle in the future. Today, miss10 and I bring you a Bandai Friends group auction! I will be taking care of threads and totals, while miss10 will be bidding and shipping. miss10 was granted sales permission by entirelycliched on April 2, 2012. While miss10 isn't claiming anything, I am claiming Mareep for $10, and am certainly willing to go higher. 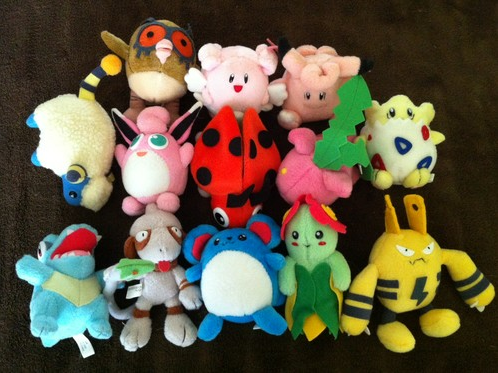 Plush start at $3 each, with increments of $1. Bidding will end on Friday June 15, at 4:00 p.m. EST. There is a countdown under the cut. There will be two payments, the first being your bid + shipping from the seller to miss10, the second is shipping to you from her. 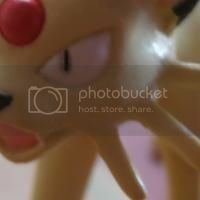 Lot description by seller: "This is a 12 lot set of Bandai Pokemon plush. 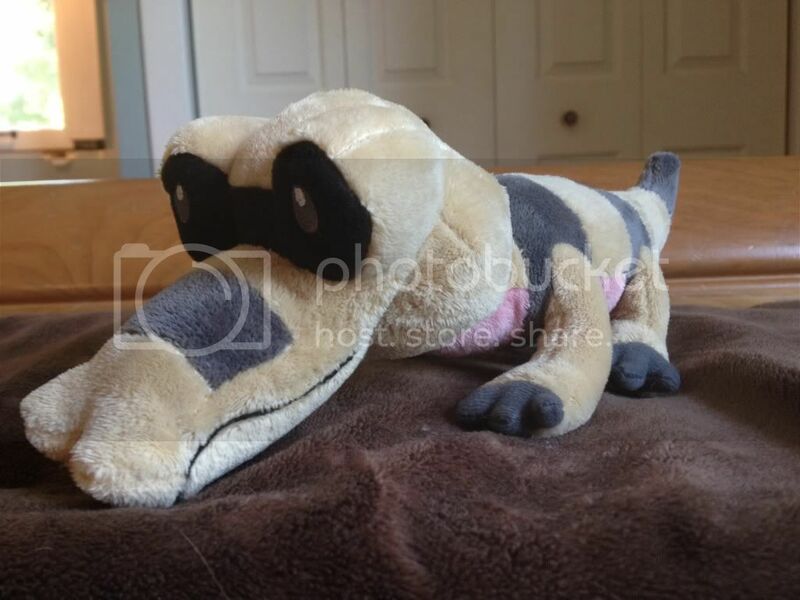 All items are used but in excellent condition." Upon reviewing the plush for sale, I found that I had forgotten to photograph and list Blissey (top row, center, 2nd photo) - this Pokemon will be included with the others for a total of 13 (THIRTEEN) Pokemon! This auction will be ending in less than a day. Been sorting through 2+ bedrooms worth of stuff over the past few days (and only just about halfway through so far ;-; ) so expect a giiiant sales post full of plushies, figures, settei, customs, trading cards, etc when I've finished sometime this week. Willing to buy anything Slowking related I don't already have~ Try me with anything; there are some rather common things I don't have yet.